A few days ago, I posted about the new Pretty Pink Shoulder Bags with Small Teddies in the front pockets I had made. Well, I have made a few more, because shades of pink and cream are very, very popular. Available at Markets and Fairs for £5.00 each, with the Teddy in the front pocket of course, and will also be for sale on Etsy, at the same price but with postage and processing added. 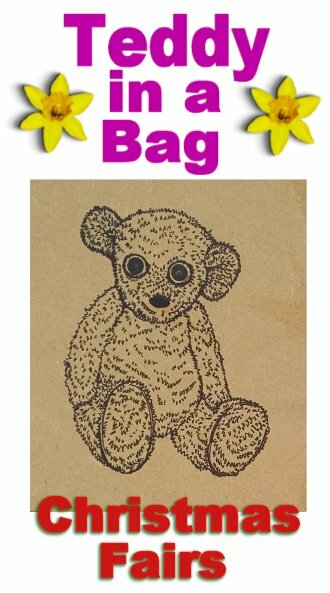 But, if this is not possible, please look at our Elephant Sun Dog Etsy Store, where I am sure you will find that these small bags with their lovely, fluffy teddy are still an ideal price for Christmas gifts. Posted on November 6, 2018 October 30, 2018 by Silvi VealePosted in Little Bags, Shoulder Bags, Teddy in a bagTagged all ages, Children's bags, Crochet Bags, fluffy teddy, Shoulder Bags, small bags, small teddy.